A partnership between Australian companies GL events and ExpoNet will deliver temporary grandstand seating for the 2018 Commonwealth Games in the Gold Coast after they became an official supplier of the event. 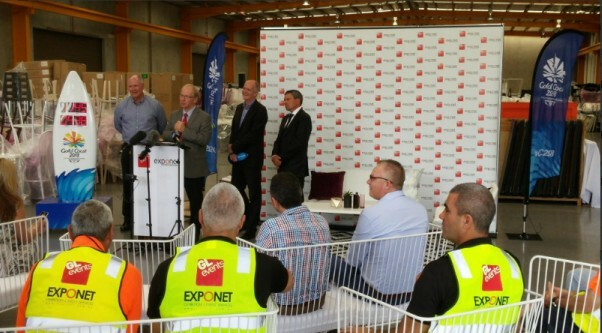 GL events ExpoNet was the only local company to submit a tender offer for the role, Gold Coast 2018 chairman Peter Beattie revealed, with all others coming from international firms. The decision to award the contract to an Australian entity will go some way to appease critics, who have claimed companies in the country have been overlooked in favour of global firms. Giving United States-based Jack Morton Worldwide the tender for the Opening and Closing Ceremonies, expected to be one of the highlights of the Commonwealth Games, sparked anger among some of the losing bids. A row erupted after David Atkins, chief executive of Australian-based David Atkins Enterprises, who lost out to JMW for the tender, complained about the role of former JMW employees Mik Auckland and Celia Smith in the process. Their involvement in the process forced Gold Coast 2018 to deny any accusations of a conflict of interest after it was revealed the couple offered technical advice to the Bid Evaulation Committee. A report then cleared Gold Coast 2018 officials of any wrongdoing. The two businesses have come together to produce more than 60,000 temporary seats for use across 13 venues due to be used for the Games, scheduled to take place from April 4 to 15 in 2018. 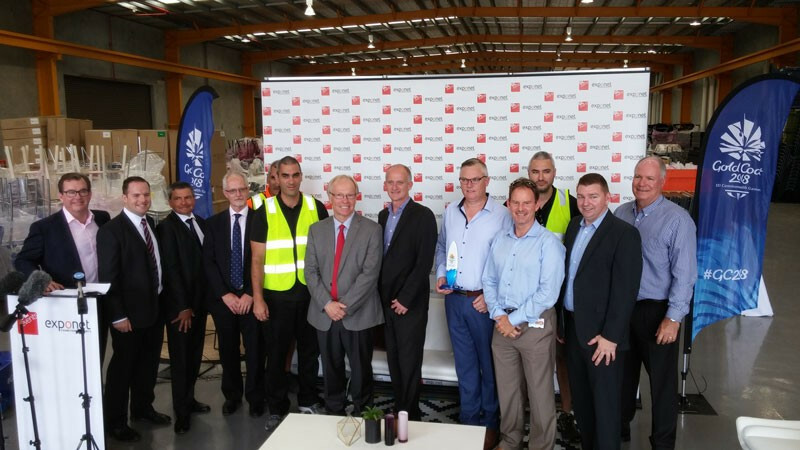 They will draw up sub-contracting agreements with other Gold Coast based companies, with services ranging from "significant direct-subcontracted seating supply to the manufacturing of seating components". It will also include "specialist trade and general labour for seating installation, maintenance and removal purposes", according to Gold Coast 2018. GL events Field & Lawn Limited served as an official overlay and temporary structures provider for the 2014 edition of the Commonwealth Games in Glasgow, while ExpoNet is a 35-year-old company which worked on the 2000 Olympic and Paralympic Games in Sydney. The two companies also joined forces at the G20 Summit in Brisbane in 2014. "In fact, GL events ExpoNet was the only Australian business that submitted a tender for this work with all other bids from international firms," said Beattie. "From a Gold Coast 2018 procurement perspective, over 70 per cent of our contracts have been issued to businesses with a Gold Coast presence and 89 per cent of our contracts have been issued to companies with a presence in Queensland. "As we get closer to Gold Coast 2018 our focus moves from planning to delivery of an unforgettable global Games and this contract is crucial to shaping the experience for spectators and delivering the Games overlay requirements." Gold Coast 2018 chief executive Mark Peters added: "This is a great opportunity for a local supplier to be a part of a high profile contract, but also to work with and learn from a world leader in temporary event structure. "Temporary seating is a key part of many major sporting events. "It will provide greater capacity to venues, improve comfort and not leave an unnecessary oversupply of underused seats post-Games."